The Rocking Chair Patrol is made up of the adult Assistant Scoutmasters along with the Scoutmaster. 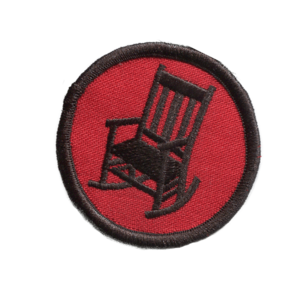 The rocking chair emblem reminds us to sit back and allow the boys to solve their problems so they can learn from the experience. This is where we maintain outing documentation and notes. Visible to Rocking Chair members only. Contact the scoutmaster or Troop secretary to be added to the Google Drive folder. 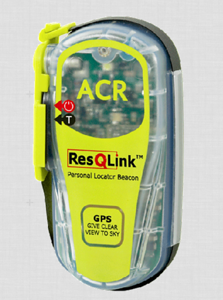 ResQLink is a safety device we take on outings. This Personal Location Beacon (PLB) when activated will send out a continuous 406MHz beacon for at least 24 hours to notify a worldwide team that we are in a life threatening situation. The US Air Force is the one that monitors this signal in North America. If the PLB also has a GPS signal it will send along the coordinates too, but those are not necessary in order to triangulate our location. The Air Force will then dispatch local search and rescue units to our location. These devices are under $300 and don't require a subscription. The battery needs to be replaced at a service center every 5 years (~$150) or we may just replace the whole device depending on the condition.